This Black Beauty is Murdoch. Murdoch is a very calm and gentle dog who gets on very well with both female and male dogs . Murdoch was found on a road with a broken leg and immediately came into the care of the rescue. He went to a foster home where he was nursed back to full health after receiving essential veterinary care, Luckily it was a clean break and was easy to set, it has healed fully and Murdoch can once again walk perfectly and can run like the wind. 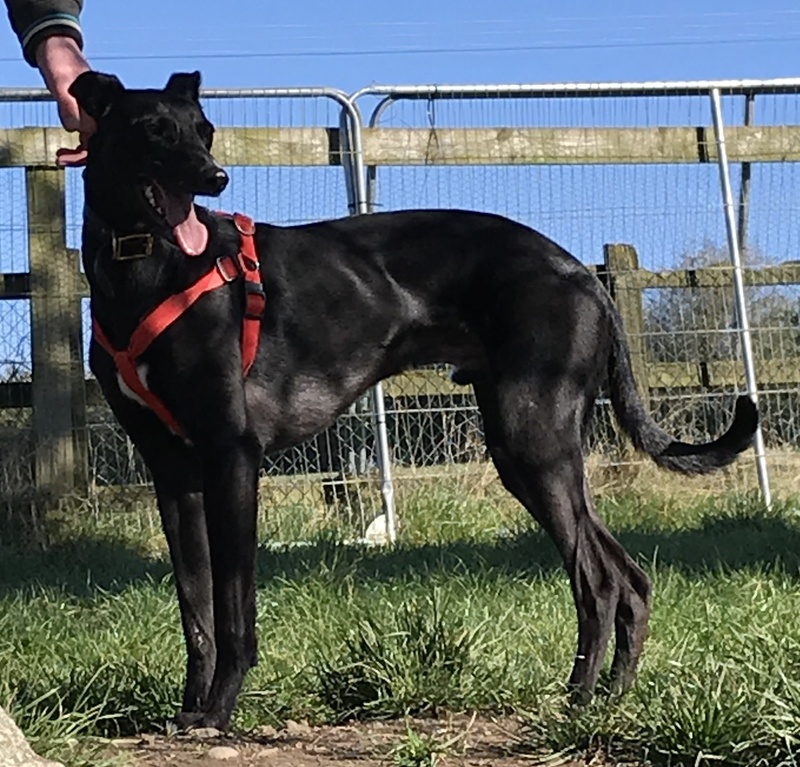 Murdoch loves his walks, and he would be very happy going to a home where he can be taken out for nice long walks regularly and it would be ideal if there is a park or some nice open space where he can safely have a good run. Like all lurchers he loves to run a few ‘zoomies’, and then enjoys settling down beside a nice warm fire, ideally on a couch or armchair. He is very gentle on the lead. He has lived in a foster home with three other dogs and with cats, and while he loved the dogs (which were large dogs) he was not too fond of the cats and could not be left alone with them as he would try to give chase. He is also best suited to a home without a small furry dog. He aboslutely loves to be with humans and he is good with children. Murdoch is neutered, chipped and vaccinated. If you would like to express an interest in adopting Murdoch please email kwwspca@gmail.com or contact 0871279835. We ask for a minimum donation of 150 euro to partly offset veterinary costs, a licence and tag are required to complete the adoption, and a home visit applies. © Kildare & West Wicklow SPCA 2019. All rights reserved.